Essential to the EYFS is a commitment to working with parents as partners. As research shows, ensuring for a good relationship with parents and carers helps to positively impact on a child’s learning and development in their early years education. But in a busy childcare setting battling daily challenges, time constraints and on-going changes, how can you ensure for a guaranteed and long-term engagement with parents? EYFS expert Joanna Cummins, qualified Early Years Teacher and Nursery Manager at Cloud 9 children's centre, shares her secrets to making parents her partners in the early years. What does the term ‘parents as partners’ mean to you? To my team and I, the term parents as partners in the EYFS is about making parents central to all that we do at Cloud 9. It means recognising parents as the most enduring educators of their children and making them a focal source of information, alongside their children, to help us to best understand, care for and educate their children. To maintain our ongoing partnership with parents means sharing every milestone, little or large, and engaging with parents to provide the highest standard of early education for each and every child. It’s about recognising that parents are to be valued and appreciated as much as their children and that without parents as partners, our role wouldn’t exist. How do you ensure you are actively working with parents in the early years? Building a positive relationship with parents underpinned by trust is the first and most important step to engaging parents and ensuring they are actively involved in the decision making aspect of their child’s development. Here at Cloud 9, we empower parents from the very beginning to make choices and inform us of key information regarding the care for their child. We ensure that every child selects their own key person based on attachment and bonding and that parents share the observation process which leads to the establishment of a key person. 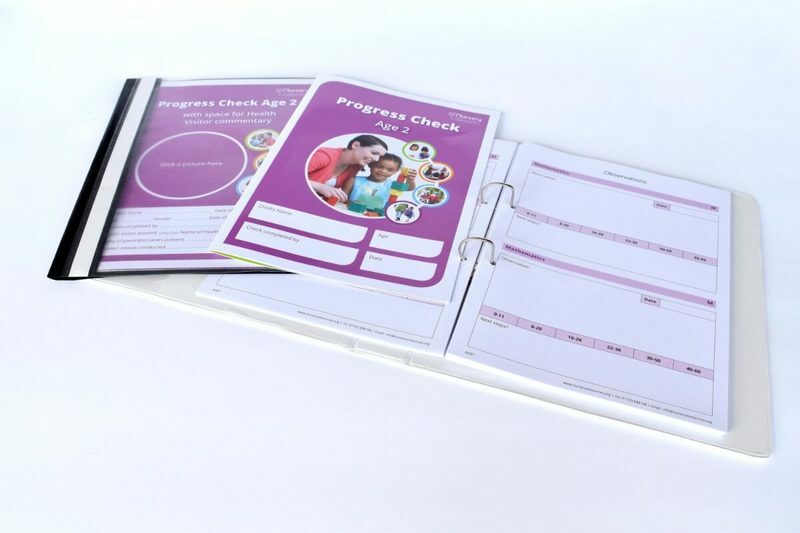 We use Nursery Resources’ daily communication diaries and various other tools to ensure that every parent or carer can receive detailed information about their child’s day. We hold regular events inside and outside of the setting for parents to engage with their children in our environment and to bond with our staff. We’re committed to making ourselves available to parents ‘whatever the weather’ and fundamentally we ensure that every single parent or guardian at our nursery knows each practitioner by name and can always expect a warm smile and a helping hand unconditionally, just the same as our children. How do you actively engage dads? At Cloud 9, we’re lucky in having so many enthusiastic and engaged parents who want to be our partners. Our strategies for engaging with parents in the EYFS again revolve around empowering parents. We host events such as ‘dads-n-lads’ and celebrate the ‘special people in our lives’ through displays and social stories within the setting. We tend to use our rapport with parents to establish their interests and build on those; for example, one of our dads is cricket mad so we invested in a cricket set for the children and sent him a cricket bat shaped invitation made by his child to come and join us for a game at nursery. We ask dads to share experiences in the form of observations - just one or two lines is enough to have dads taking a more involved role in their child’s learning journey, helping us to build our relationship with parents as partners. How is your commitment to parents as partners reflected through your daily practice and the nursery environment? Looking around the setting it’s hard to see a single space that hasn’t been built upon and developed in partnership with our parents. We have a cloak area which is adorned with family photos and a parent communication board. Our small world area has been heavily influenced by a number of our parents and children from the gypsy and traveller community to include shire horses and trailers. Our water and sand areas contain resources again influenced by parents and their families and contains artwork bubble printing pictures that parents and their children made together at our recent open day. Even our nursery fish tank has an Olaf figurine inside that was bought for us as a random thank you by one of our parents. As for our daily practice, it’s rare to come into the setting before 10am and not find at least one parent in the room talking to our practitioners or playing with their child. Again, 4pm onwards is generally a busy time for family handovers and we use Nursery Resources communication diaries and toilet training records to aid in this and promote positive communication. What would your advice be for a setting wishing to develop their relationship with parents in the early years? In my view, it’s really quite simple: MAKE TIME. Make time to make yourself approachable and available to your parents often. Welcome parents whole heartedly, go the extra mile, show an interest and get to know them and show pride in their child’s achievements and all that they have done to help their child to get to that stage. It’s not easy, we work in a fast paced environment and time is undoubtedly at a premium, but ask yourself this: can you really put a price on partnership? Appreciate your parents as partners and you’ll reap the rewards! If you are looking at ways to develop your relationship with parents, you might be interested to browse our dedicated parents as partners section. Jane Drake, a partnership advisory teacher in Leeds and author of Planning Children's Play and Learning in the Foundation Stage and Organising Play in the Early Years (David Fulton) has written a very informative article for Teach Nursery looking at how you can work with parents to support children's learning.